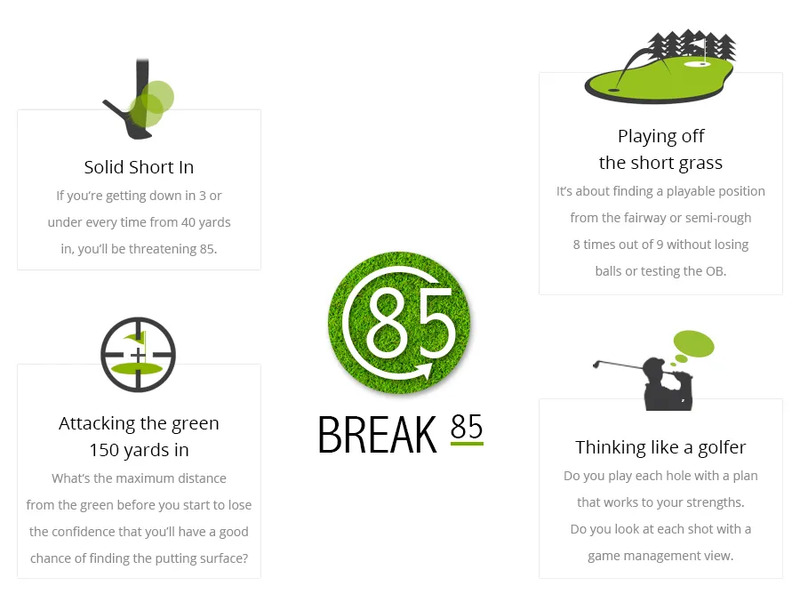 Rob Noel Golf Academy | Break 85: Where will your improvement come from? Where will your improvement come from? If you, or a child of yours, have been shooting often below 90, then it’s time to set a target to get yourself (or your child) below 85 consistently. The question will be, how? You’ll find that the game you have, to shoot under 85 consistently, will bring you so much joy. It’s not about your handicap, it’s about having the quality to get around a golf course with some control. If you’re shooting in the low 90’s, now is the time to make a leap. Contact us now.